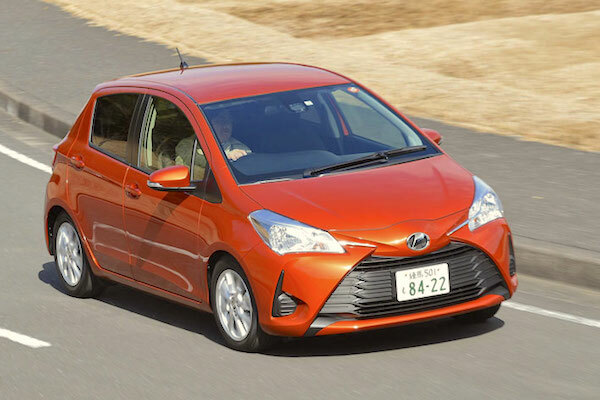 Another excellent result for the Japanese new car market, up 13.4% year-on-year in June to 477.470 registrations, lifting the half-year tally up 9.2% to 2.782.542 units. Market leader Toyota trails the market but still posts a solid 11.8% year-on-year gain to 32.4% market share. It distances Honda (stable), with Daihatsu soaring 17% in third place and Suzuki up just 9% to #4. Handicapped a year ago by stop-sales on their kei cars, Nissan (+46.1%), Mazda (+20%) and Mitsubishi (+117.8%) catch up on lost time. Inside the Top 10, Subaru (+39.6%) is by far the best performer in normal conditions. Mercedes (+3.5%) dominates foreign carmakers at #9 overall, ahead of BMW (+5.6%), Volkswagen (+2.2%) and Audi (-8.6%). Renault (+46.9%), Smart (+26.3%), Citroen (+83.1%) and Maserati (+71.7%) post some of the largest gains whereas Lexus struggles at -34%. 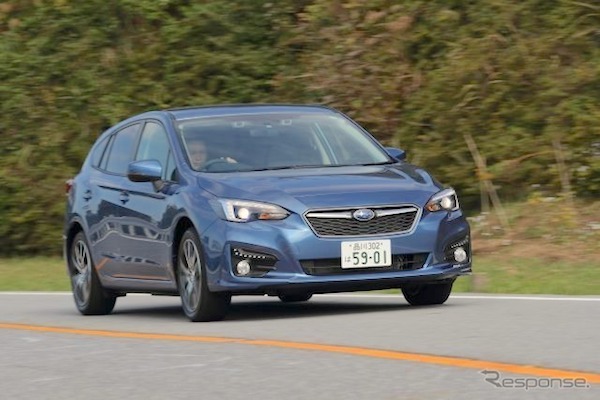 The new Subaru Impreza continues to climb the ranking: it is now #8. In the “traditional” cars ranking, the Toyota Prius confirms it has reclaimed the lead of its home market by posting a third pole position this year, despite sales freefalling 38% on June 2016. The Toyota C-HR confirms it is an instant blockbuster with another stunning score in 2nd place, while the Toyota Vitz benefits from its facelift to jump 80% year-on-year to #3. The Nissan Note still progresses vs. a year ago (+46%) but is falling further from the top spot each month. The Honda Freed (+278%) and Subaru Impreza (+190%) are both boosted by new models, as are the Toyota Harrier (+92%), Suzuki Swift (+113%) and Mazda CX-5 (+89%). The Daihatsu Thor manages to remain inside the Top 30 at #30. Among kei cars, the Honda N-BOX (+13%) remains in the lead above two surging nameplates: the Daihatsu Mira (+83%) and Move (+79%) while the Daihatsu Tanto is down 8% to #4. Notice also the Suzuki Wagon R up 38% and the Suzuki Spacia up 39%. 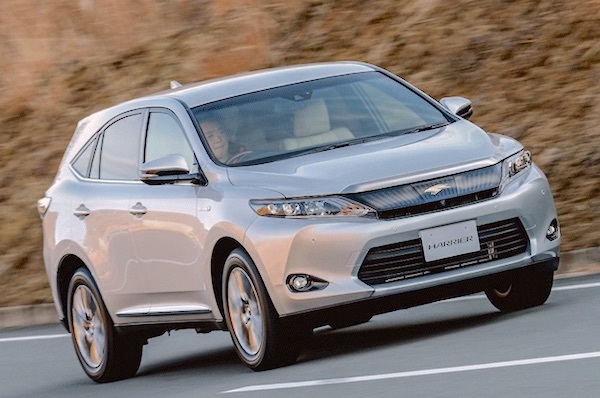 Its facelift propels Toyota Harrier sales up 92% in June. In the foreigners aisle, the Mini reclaims the top spot off the VW Golf with a significant 1.100 unit-margin, earning the YTD top spot as well as we’ll detail in a separate update. The Mercedes C-Class remains in third place despite a 19% fall and is now teased by its larger stablemate the Mercedes E-Class up 6-fold year-on-year thanks to the new model. The BMW 3 Series also gains one spot to #5 thanks to deliveries up 20%. The BMW X1 (+55%), BMW 5 Series (+56%) and Mercedes GLC (+24%) also impress while the VW Up makes a return inside the Top 20 at #17. Full June 2017 Top 53 All-brands, Top 30 cars, Top 35 kei cars and Q2 2017 Top 20 foreigners below.